September is Hunger Action Month. Nearly 49 million people in America face hunger. That is 1 in 6 of the U.S. population – including more than 1 in 5 children. Don’t let their struggles go unheard. 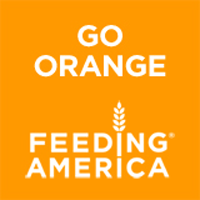 Join the Feeding America network of more than 200 food banks and Speak Out Against Hunger.